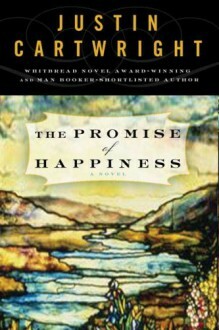 “A beautifully observed, emotionally detailed novel about one family’s decline and regeneration.”—New York Times A Richard and Judy Book Club Pick (U.K.)Winner of 2005 Hawthornden Prize (U.K.) for Best Work of Imaginative LiteratureWinner of the 2005 South African Sunday Times Fiction Award The Promise of Happiness is an emotionally wrought and beautifully rendered novel about one family’s attempt at reconciliation. The five members of the Judd family, reeling from a series of personal and professional blows, have each retreated into a private world. But the impending return of prodigal daughter Juliet, an art historian incarcerated in an upstate New York prison for helping to sell stolen Tiffany windows, brings the family together for the first time since her incarceration. As Juliet—once the apple of her father’s eye—returns to England for her brother’s wedding, the family grapples with their conflicting feelings for one another and the moral dilemmas that threaten to tear them apart.